Politics is an ugly game of lies and responsibilities. It’s a life of servitude in public office that turns politician’s hair grey and ruins their relationships, but it’s pretty lucrative too if you know what you’re doing. 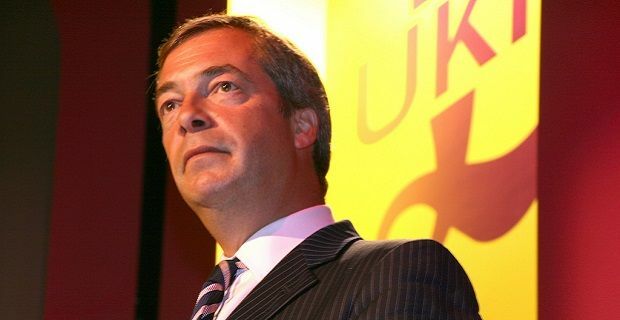 Nigel Farage, the UKIP Leader and MEP for the South East Counties, is one of the richest in the UK. We take a look into his bank statement to come up with the Nigel Farage net worth figure. Nigel Farage has complained about his wages and made claims that he is one of the worst paid politicians in the UK but that doesn't ring true. His wages come to at least £64,000 per year and when you add in his wife’s salary, the Farage household has access to £109,000 a year. That's in addition to expenses. The British politician plays his card close to his chest. He complains that he's poor to detract from the fact that he isn't. The smokescreen he puts up means that estimating a net worth amount for him is close to impossible but we understand that his property is worth £540,000. Farago often discusses his income so we know that he earned £3.75m over the past 15 years. How much of that remains in his bank or in investments making him money remains a mystery. This is a man who doesn’t do things by halves. Even though he earns £64,000 a year from his job as leader of UKIP, he puts a lot on expenses. The reported £2million he took in expenses and allowances in over a ten year period from 1999 to 2009 surprised, annoyed and upset a lot of people but the man’s flippancy about the sum was the biggest wind up for the British public.